When I first started to plan my time in Houston, I struggled a bit. Unlike some other cities, there’s not one clear attraction or sight per se. But as I did more and more research it dawned on me that instead of just one thing to see, the city is very much the sum of its parts. With this revelation in mind, I set out to explore some of the city’s neighborhoods and to try to enjoy it from as many different vantage points as possible. Buffalo Bayou, the Heights, EADO and of course the booming downtown all come together to share the story of Houston and was a fun way to spend an afternoon. Of course the city also enjoys plenty of museums, galleries and a fantastic nightlife, making it a great and well-rounded city for just about any kind of visitor. Hotels always form the crux of my travel experiences – it really does matter where we decide to spend the night. Luckily Houston has a lot of great options where location and hospitality are the name of the proverbial game. 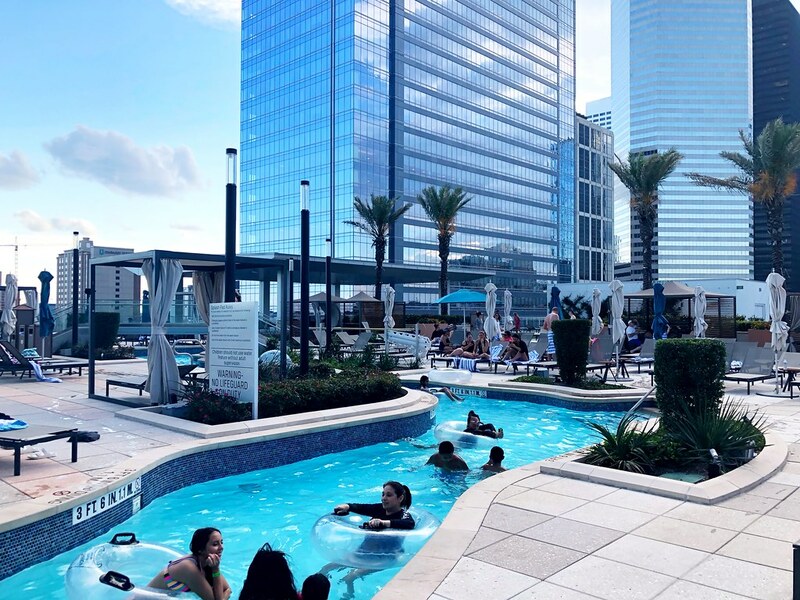 Although I didn’t stay there, I did spend some time getting to know one of the hottest new properties in downtown Houston, the Marriott Marquis. A somewhat unlikely oasis in the city is on the 6th floor deck of the new Marriott Marquis Houston, which features a massive lazy river in the shape of the state of Texas. With palm trees, cabanas and great music, the vibe here is tropical and fun with just as many locals sunbathing as hotel guests. For something a little different, there’s also the Westin Galleria that offers comfortable luxury adjacent to Houston’s most famous shopping area. The one piece of advice I received the most before visiting Houston was to eat as much as possible. 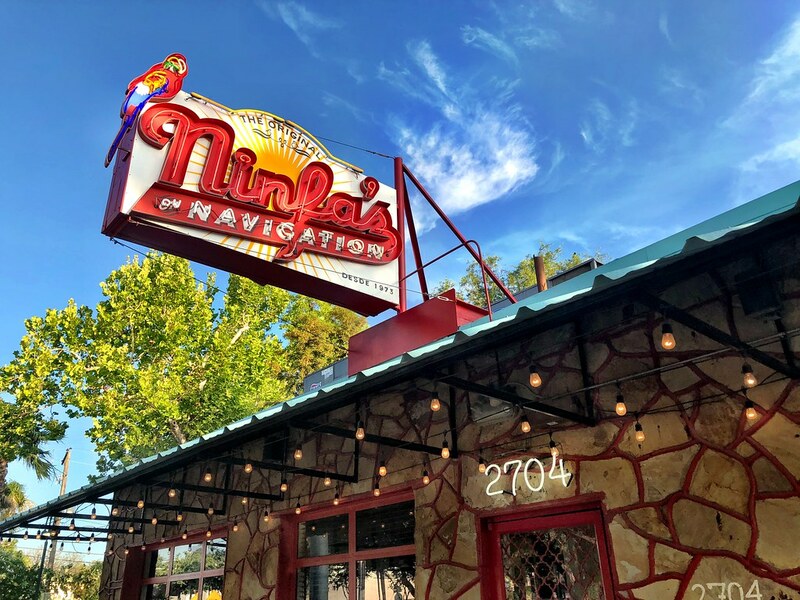 Over the years the city has developed a well-earned reputation for everything from high-end cuisine to BBQ, but my favorite was a local secret that I’m so glad I discovered – The Original Ninfa’s on Navigation. Started by “Mama” Ninfa Laurenzo in 1973, believe it or not but this is where the fajita was first introduced to North America. Not only some of the best Tex-Mex food I’ve ever enjoyed, but also one of the best meals ever, my dining experience here is something I know I’ll never forget. Around Houston though there are plenty of options, including two that were at the top of my list: Galveston and Space Center Houston. Years ago I read a book about Galveston and ever since I’ve been desperate to visit. 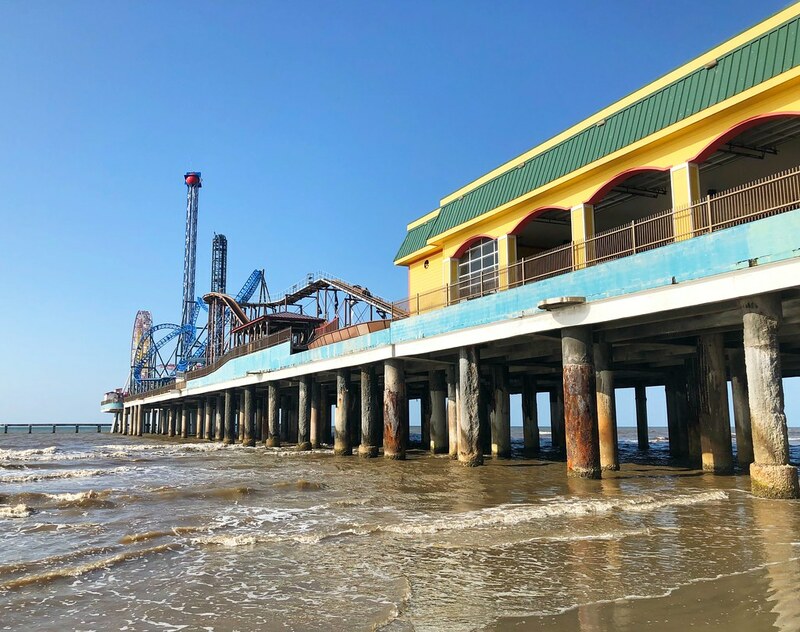 Galveston Island has been attracting beach-goers for generations and although it’s reinvented itself time after time, that feeling of laid back fun is still there. As a space geek though, the highlight of the day was Space Center Houston. Not only is the center the official visitor center for NASA Johnson Space Center, but it’s also a leading science and space learning center in its own right. Almost immediately I knew it was a special place and by the end of my visit I was convinced that it’s one of the best learning centers I’ve ever been to. I call it that because it’s so much more than a museum. Sure, there are many exhibits detailing every aspect of space exploration, but there are also plenty of hands on activities. 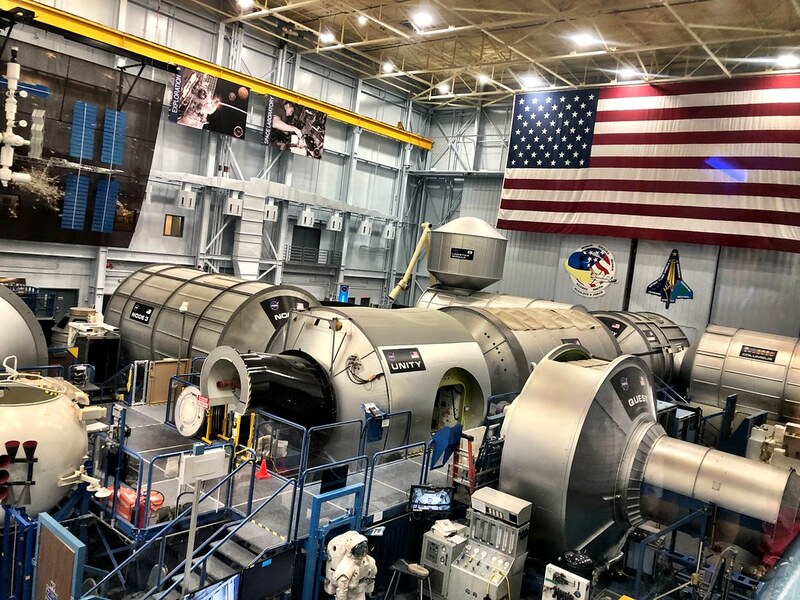 The highlight of any visit though is a 90-minute trip into the heart of the NASA Johnson Space Center itself, visiting training centers and seeing rockets that were instrumental in our race to space. At first blush, Houston may not be everyone’s initial pick for a quick and easy getaway, and that’s ok. It’s a city though that lends itself to hospitality, and staying downtown you’ll be able to enjoy great food and nightlife, but also a kind welcome to this engaging and always changing city. I am planning a visit to Houston, but I discovered that most of the hotels I have found online are more if extended stay, not conventional Hotel. How do I get a conventional hotel and where is the best place to stay in Houston?